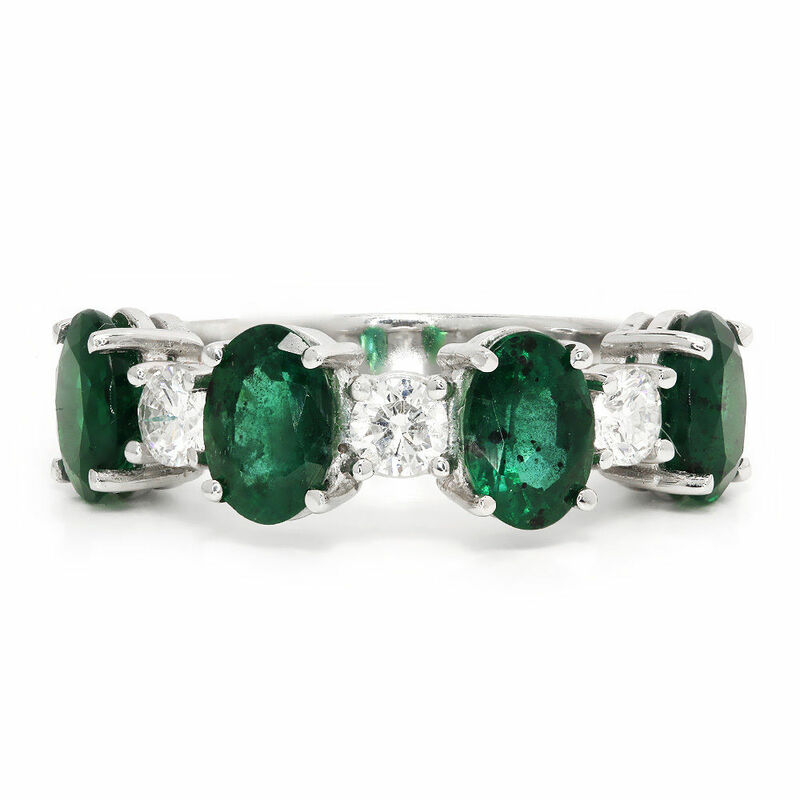 Featured is a contemporary style emerald and diamond band made of solid 14kt white gold. 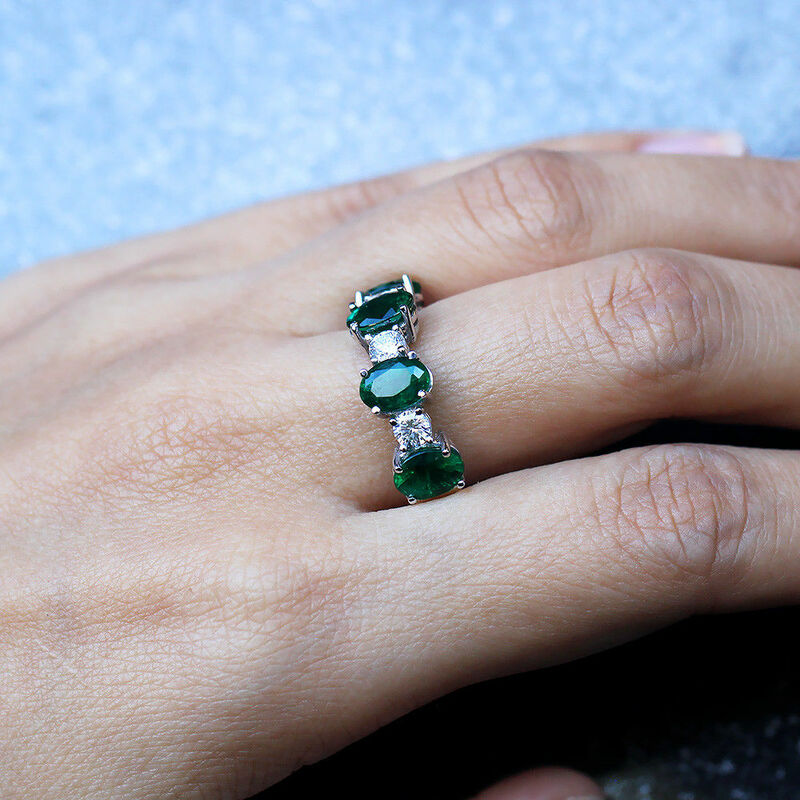 It is encrusted with alternating emeralds and diamonds. 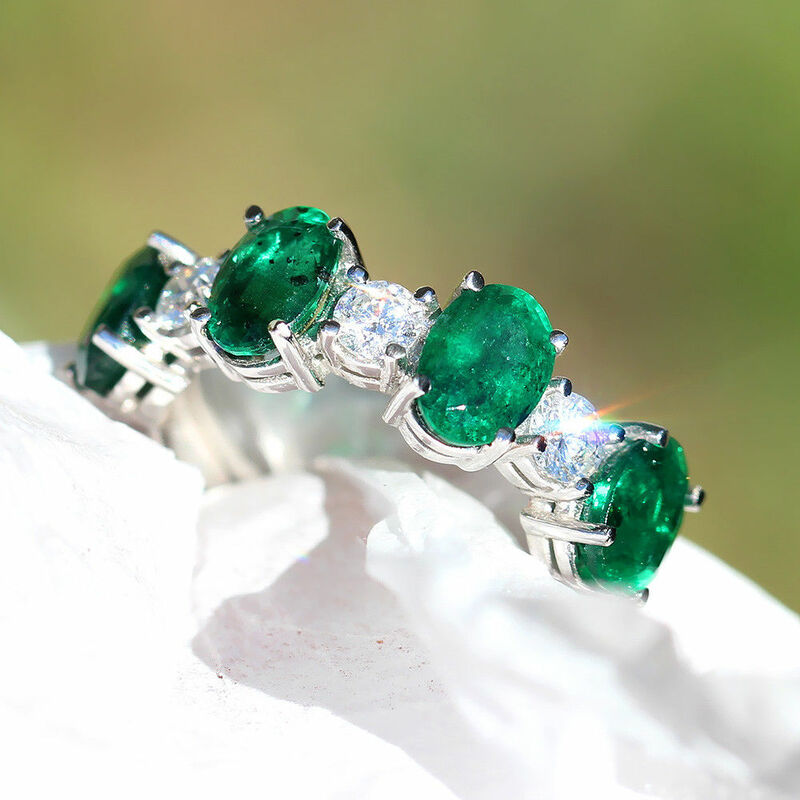 There are 4 oval cut 4-prong set emeralds evenly spaced between each other with 3 round brilliant cut diamonds set in between them which are much smaller than the emeralds. 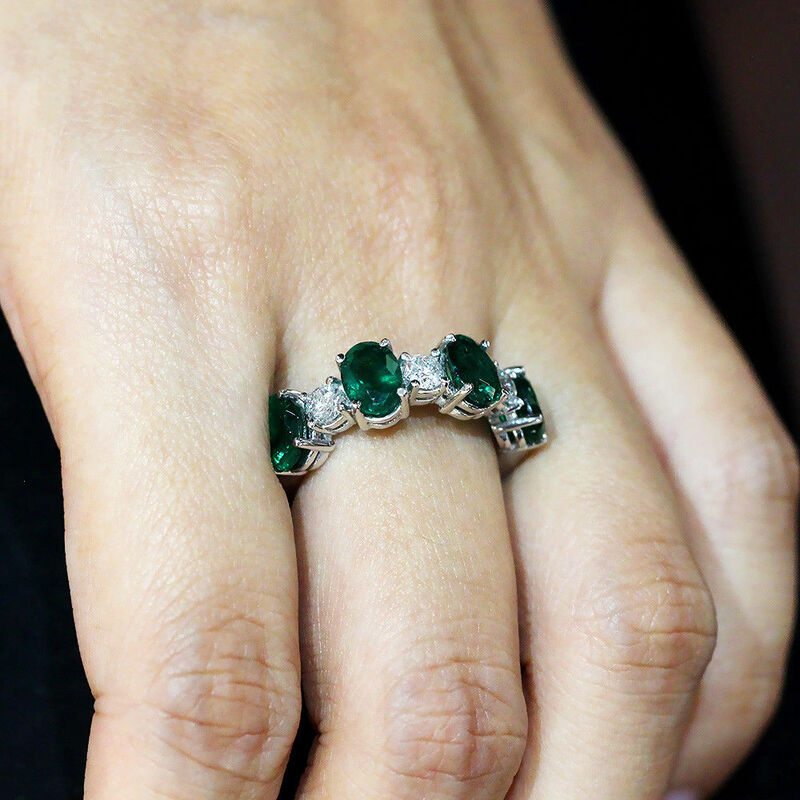 The emeralds exude an intense dark green hue and are perfectly matched in color and shape as they weigh 3.76 carats total. The 3 prong set diamonds are nicely matched as well as they are G-H in color and SI2 in clarity and weigh .50 carats total. The band weighs 6.5 grams and is currently a size 7 and can be resized. 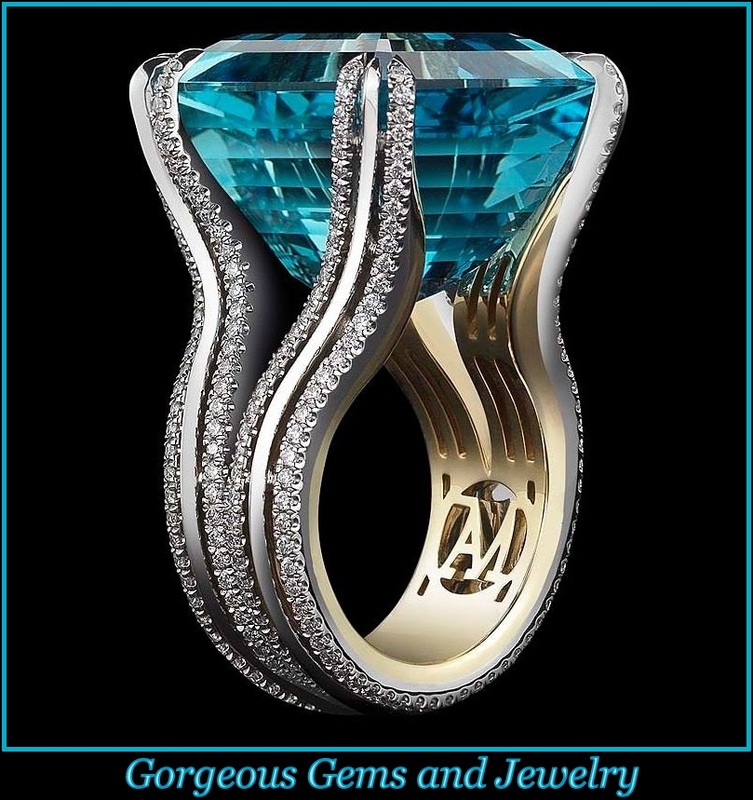 It rises 4.35mm above your finger and its ring face measures 7.10mm from North to South and 25.30mm from East to West. The bands width measures 5.00mm and tapers down to 3.65mm. The band is in Like New condition.